Officially, Mounts Bay stretches from Lizard Point to Gwennap Head, but as I’m dividing West Cornwall up into areas that make a bit more sense to the general traveller, I’m regarding Mounts Bay as the area between Prussia Cove and Mousehole. There are no prizes for guessing that the bay gets its name from St Michael’s Mount, the small island that sits just offshore of Marazion. Some people regard it as a smaller version of Mont St Michel in Normandy and with some justification because it was the Norman monks who built the church and priory on the island in the 12th century. 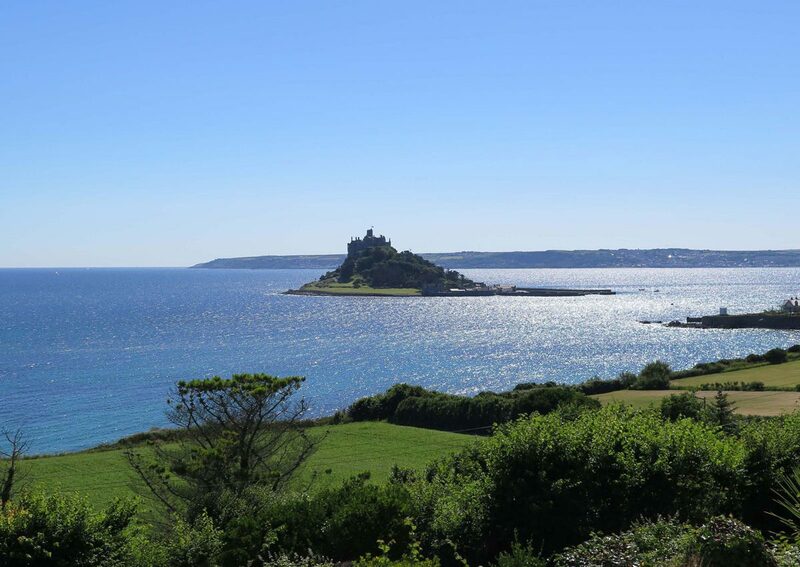 At low tide the island can be reached by walking across the causeway from Marazion, and if you like walking, there’s an easy walk around the bay from Marazion to Penzance, the main town of the bay, and the departure point for the ferry to the Isles of Scilly. The parish of Penzance also includes the fishing port of Newlyn (one of the three largest in England) and the picturesque village of Mousehole which will always be remembered for the Penlee lifeboat disaster in December 1981.